I hope you are having a good weekend and are finding time to relax. 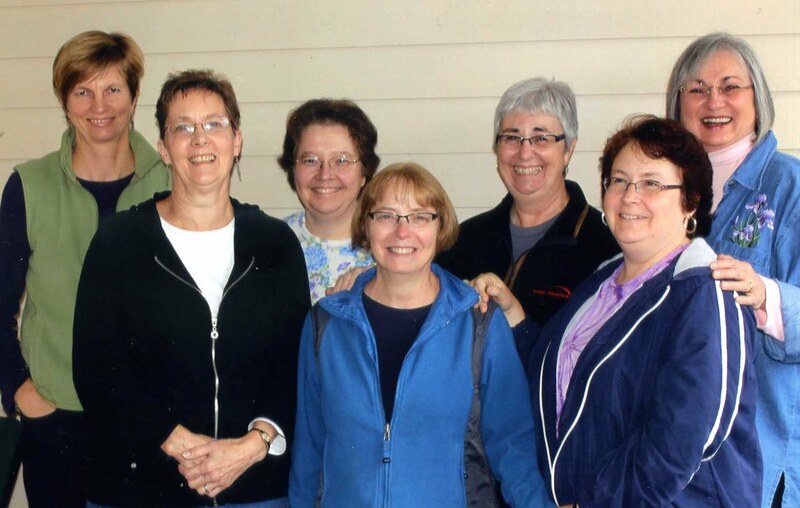 This week the Cardologists celebrated a birthday. 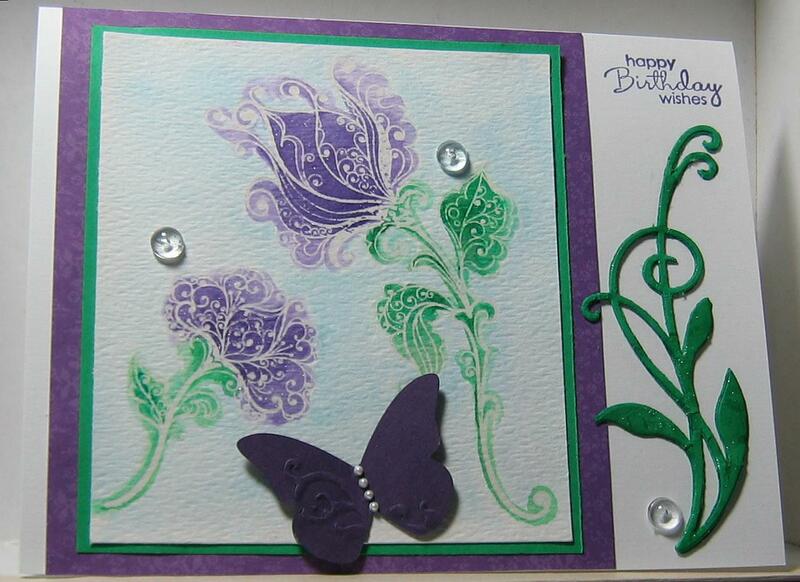 You might have seen Susanne's card for our friend on her website here. 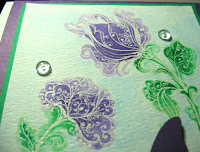 For the focal point on my card I chose two flowers from an Inkadinkado clear stamp set called Artistic Flower Creation. 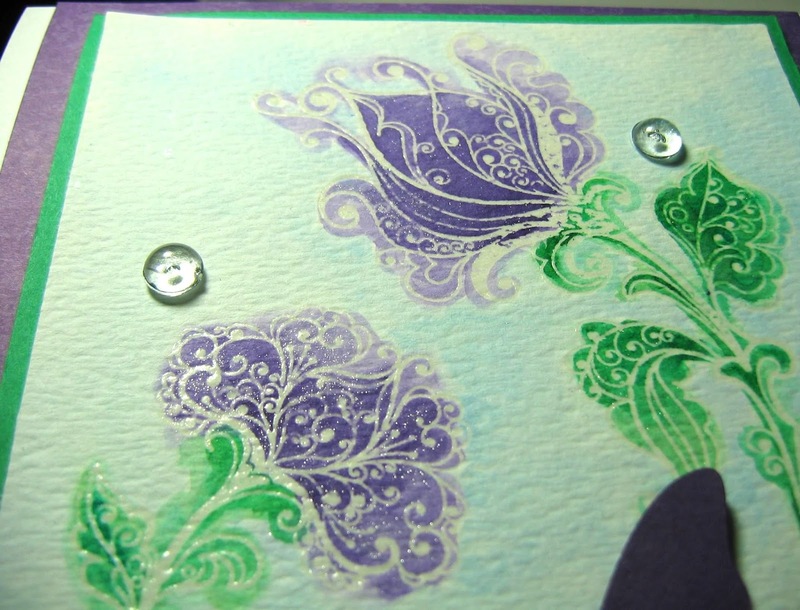 They were embossed with clear embossing powder and then colored with peerless watercolors. When they were dry I added a little Wink of Stella. I really like how the flowers came out, but then I had an almost square piece and was stuck on what to do with it. Since I waited until the night before the party to finish the card, I was a little panicky. Of course I needed layers because Jules likes layers almost as much as she likes purple. I pulled out a Darice leave die and cut three pieces to glue together to offset the square. 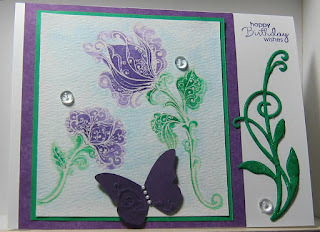 The Stampin' Up butterfly, embellished with pearls, had the wings popped up for dimension. The dewdrops are a joke with the Cardologists - three down and thirty thousand to go. The final touch was the sentiment from Stampin' Up, perfectly positioned thanks to my Misti. No challenges to enter with this one. It was inspired totally by our friendship. Hope you like it. It's absolutely gorgeous! Thanks for the shout out! I love it, Dora, and I'm sure it will be cherished forever by your friend Jules! 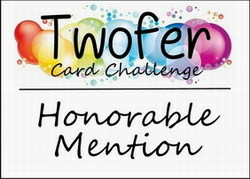 You made a very thoughtful and personal card for her!! Wasn't it wonderful that I got to meet one of your other good friends Susanne?! She is so lovely and I am so happy she took the time to come out to the Playhouse!